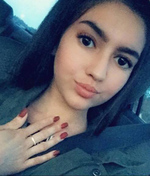 Lisa Marie Morgan, 16, a student at Harbor High School, Aberdeen, died at Children’s Hospital and Medical Center, Seattle, Thursday, January 10, 2019. She was born in Aberdeen, November 18, 2002, the daughter of Daniel and LaVonne (Yancey) Morgan. She had attended Stevens Elementary, Miller Junior High, Aberdeen Weatherwax High School and was a student at Harbor High School. She enjoyed being outside, skating at the Harborena and spending time with friends and family. She was a kind and caring soul, with a beautiful smile. Lisa is survived by her parents: Daniel and LaVonne Morgan, Aberdeen; two brothers: Benjamin and Brandon Morgan, Aberdeen; four sisters: Danielle, Jessica, Jody and Katie Morgan, all of Aberdeen; grandmothers: Sharon Morgan, Hoquiam and Diana Rath, Aberdeen; a niece, Chloe Sith and a nephew, Melehk Morquecho of Aberdeen; and also numerous aunts and uncles. Everyone is welcome to attend a funeral service at 11 AM Thursday, January 17th at the Fern Hill Funeral Home Chapel, Aberdeen. Burial will follow in Fern Hill Cemetery. To send flowers to the family of Lisa Marie Morgan, please visit our Heartfelt Sympathies Store.